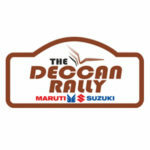 Welcome to the Deccan Rally, which is also the 2nd round of the Maruti Suzuki National Superleague TSD Rally Championship and is open to both experts and amateurs, whether in cars or SUVs! The rally will run on the scenic route between Pune – Ratnagiri – Goa – taking on the Sayhadri range and Konkan Coast alike. There are separate categories for the Championship and Non Championship contenders as well as separate prizes. You can still register for the Championship in case you’re fired up by the new format which includes ‘Tests’ – the only downside being you missed the Uttarakhand Rally and the opportunity to earn points there!